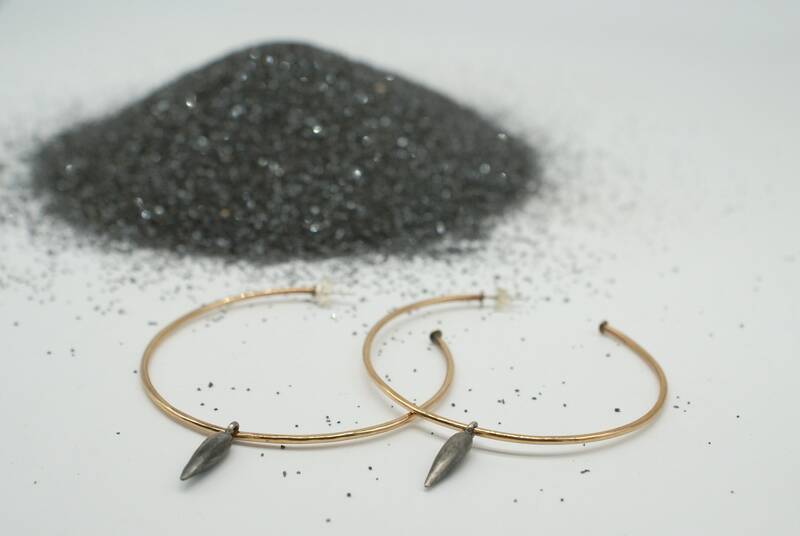 Perfect minimalist hoops for everyday wear. 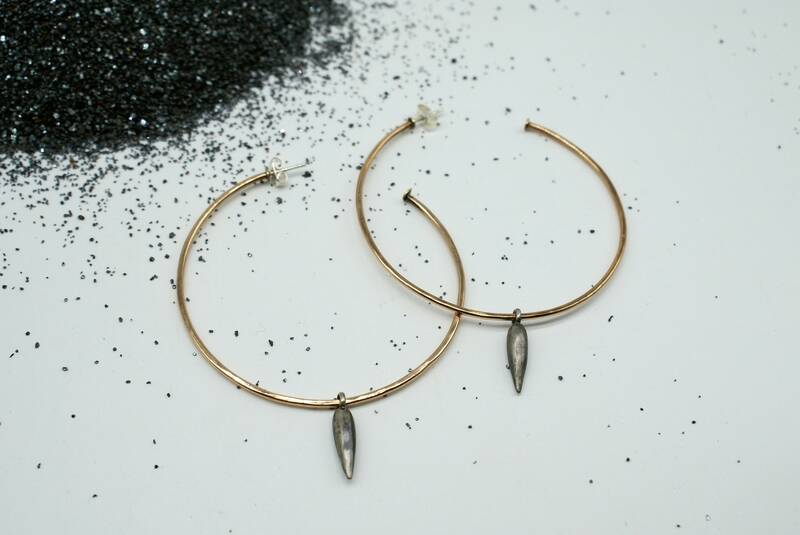 These hoops feature charms that are oxidized (darkened) for contrast. The charms can slide about, but little disc stoppers are on both ends of the wire to assure they won't get lost!